Spring 2015 was a season of firsts for the Penn Sailing Team, starting all the way back in January. For the first time ever, the team traveled to Long Beach, California during winter break to compete in the Rose Bowl Regatta hosted by USC. This was a major step forward for the program because it gives the team visibility to high school sailors in the very competitive Pacific Coast League. Next, the team participated in the Charleston Intersectional in late February, marking the first time the team has taken a plane to a regular-season event. Throughout the spring, the Quakers competed in three team races, which is the most they have done in a single season since at least 2008. They also finished the season as a top-10 team racing team in the conference for the second straight year. On the fleet racing side of things, the team had even greater success, notching its first top-5 finish in a major intersectional at the Admiral’s Cup in late April, which led to Sailing World ranking the team 19th in the country in their May 6th coaches’ poll. This is the best ranking for the Quakers in at least the last 5 years, though they hope to move up even more next year. At the America Trophy, which is the Mid-Atlantic Conference Championship, the Quakers finished a strong 8th place, earning them a spot in the ICSA Dinghy Nationals for the second year in a row. The team sailed hard at the Nationals, but ultimately fell short of their goal of qualifying for the finals, finishing 11th out of 18 in the extremely competitive Semi-Finals. However, their performance cements their position among the top 25 teams nationwide. Despite missing their goal, the sailors had a great time and learned a lot. The underclassmen in particular will hope to build on their championship experience next year while the seniors will always have fond memories of a great final season. Lastly, while Penn Sailing managed to scale new heights at the team level, some of the team’s individual performers also stood out among their peers. Catie Hopkins ’17, who is the current team captain, was selected as Penn’s first-ever All-Conference Crew. She joins Mac Agnese ’17, who was selected as an All-Conference Skipper last year, on the All-America Committee’s “short list”. Might we see Penn’s first All-American sailor in the coming years? Only time will tell. Senior Jack Swikart was also honored by the Mid-Atlantic Conference, receiving the Robert Purrington Award for Student Leadership for his work over the past two years as the team’s captain, as well as for contributions to the conference as its Undergraduate President. Jack was able to build on the foundations of the previous captains of Penn Sailing to form a strong and efficient team capable of competing with the best teams in college sailing, even on a meager budget. He also did commendable work as the MAISA President, instituting the conference’s first voluntary concussion training program as well as volunteering on various committees to represent the interests of the student athlete. 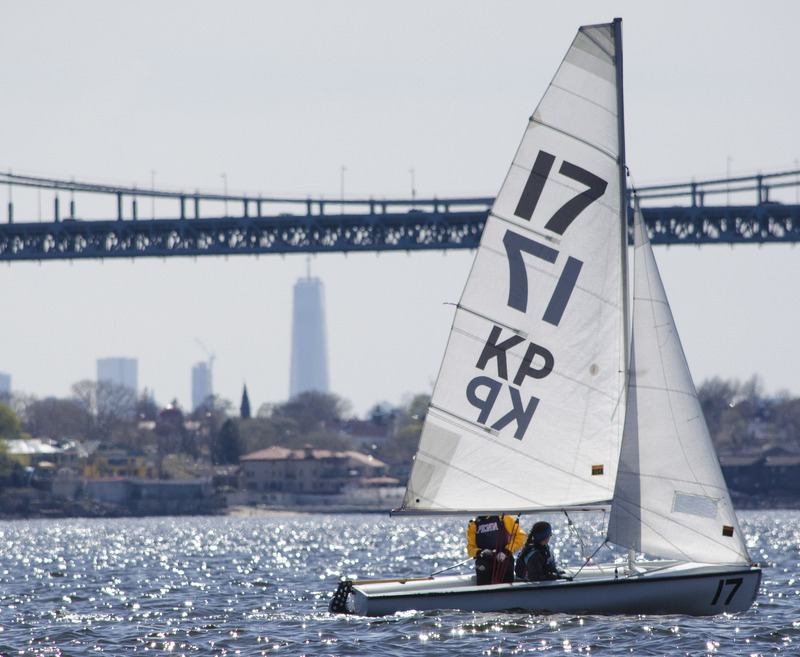 Going forward, Penn Sailing is very excited about the future. With the team’s success over the past two years, a number of very strong junior sailors have applied to Penn and the team’s prospects continue to look stronger every year. The Quakers will sail in a record number of regattas next year as a team, while maintaining a commitment to not overworking anyone at the individual level and prioritizing academics. This is only possible through both a strong commitment from the students, but also a similarly strong showing of support from our alumni. The team would like to thank those who contributed to our success over the last year, and hope to meet and learn more about our great alumni base in the future. See you on the water next fall!